Oakcrest is an intimate enclave of luxury single-family homes within the master plan community of Whitney Ranch. 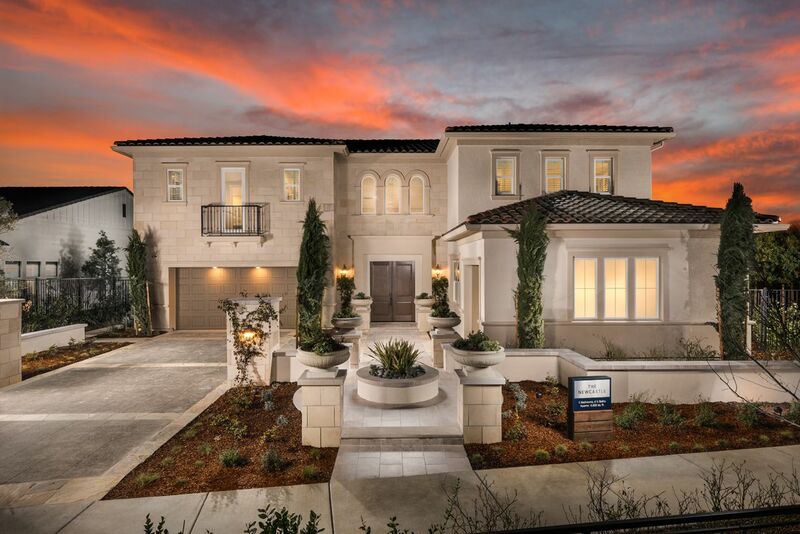 Oakcrest offers a variety of stunning architectural features and generous open floor plans, including three single-story and two two-story home designs with up to 5 bedrooms, 4.5 baths, 3- to 4-car garages and approximately 3,361 to 4,202 sf. Boasting a secluded location within Whitney Ranch, and adjacent to the exclusive Whitney Oaks golf community, Oakcrest is surrounded by the area s soft rolling hills and oak studded preserved open space. Residents at Oakcrest enjoy the resort-style amenities offered at Whitney Ranch that includes The Ranch House recreation center, community and neighborhood parks, along with miles of trails and walkways connecting families and neighborhoods. Oakcrest's elegance is only matched by convenience and proximity to Rocklin's finest golf courses, restaurants, The Galleria Mall, and the award-winning schools in the Rocklin Unified School District, with two on-site schools within Whitney Ranch.